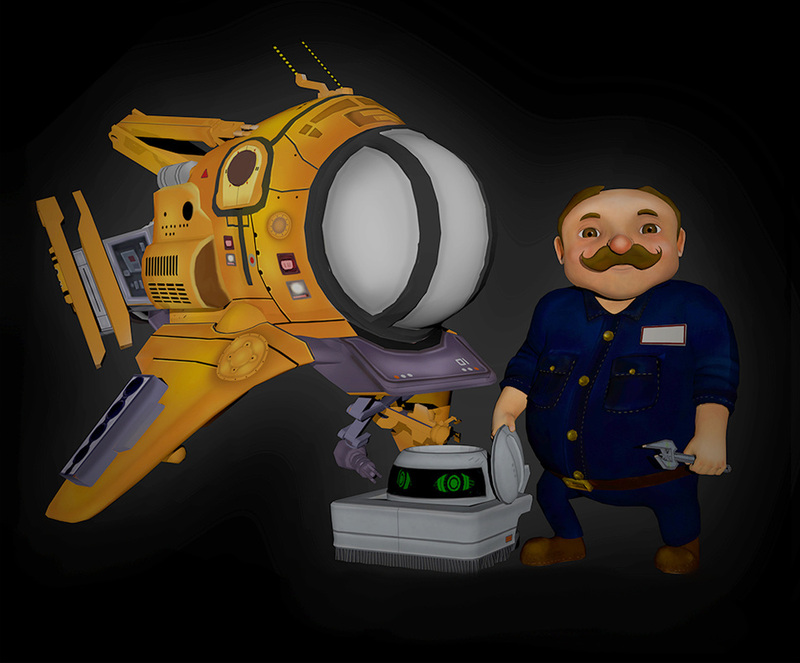 Space Swept is created for virtual reality using the Oculus Rift headset. Trapped in a spaceship filled with foreign junk you will have to clean, discover, and fix the ship to progress through the narrative. The majority of gameplay invites exploration of interactive environments with the occasional mini game that further utilizes virtual reality. Made in collaboration with the Academy of Art University, Space Swept is a quirky virtual reality game where players get lost in space. Working as the maintenance engineer of Area 51 it’s your job to fix the alien ships hauled in. Explosions, asteroids, and space anomalies are all just daily occupational hazards which occur more often than they should. Discover the story behind each space ship and unfold the mystery of a rogue alien depleting foreign worlds of precious resources in this sci-fi adventure game.